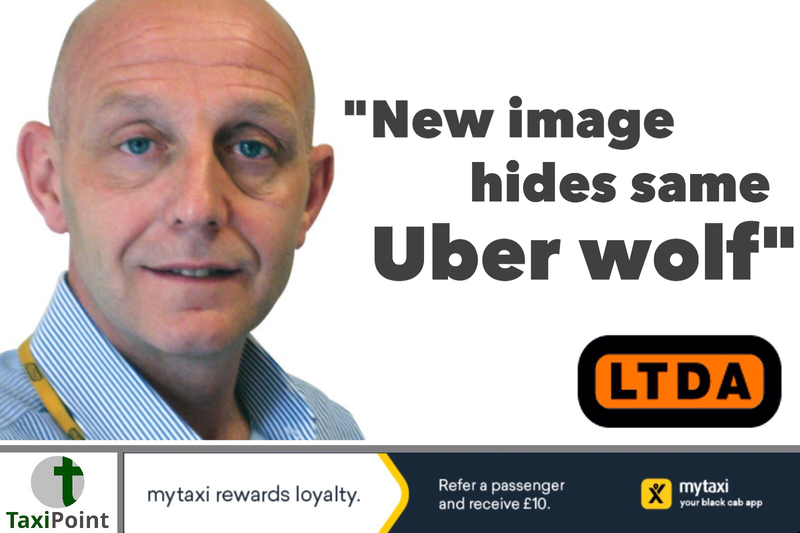 The LTDA’s #realcostofuber campaign is now fully up and running. 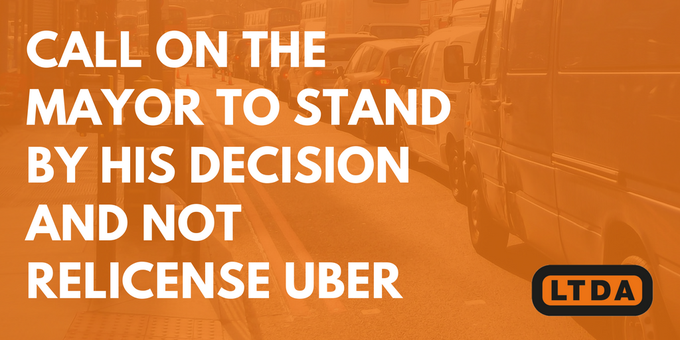 Since launching the campaign a fortnight ago, more than 9,000 people have sent an email to the Mayor of London demanding that he does not think about relicensing Uber. Thank you to everyone who has emailed Sadiq Khan and shared our petition website! Please keep sending www.realcostofuber.com to all your friends and family and sharing it on Facebook and Twitter, with the #realcostofuber hashtag. We need as many people as possible to see what sort of company Uber really is. In Uber’s latest advertising bid it teamed up with Channel 4 and launched a new miniseries, Where to, Britain? In the six-episode series, five-minute clips show drivers picking up and dropping off passengers in cities across the UK, catching their conversations in the back of the car. The show’s tagline is: “Meet the people driving the nation”. Uber is clearly trying to make itself be seen as a quintessential part of British life, but it’s not. Uber has invaded cities across the country, licence or no licence, and tried to drive local taxi and PHV drivers out of work and local firms out of business. Our historic trade in London is an iconic symbol of Britain and famous all over the world. Uber may be famous now, but for all the wrong reasons. This fresh attempt by Uber to turn around its toxic image is embarrassingly transparent – or as The Guardian labelled it, simply a “cynical, corporate whitewash”. The really funny thing is that Uber has spent tens of thousands of pounds on its Where to, Britain? mini-series, on Channel Four, only to see its hashtag #wheretobritain completely hijacked by the taxi trade. Rather than promoting the show, if you search the hashtag all you see are stories of dangerous driving, crashes, and exploitative surge pricing. Maybe if Uber paid its drivers properly it wouldn’t have to spend so much money on PR trash. 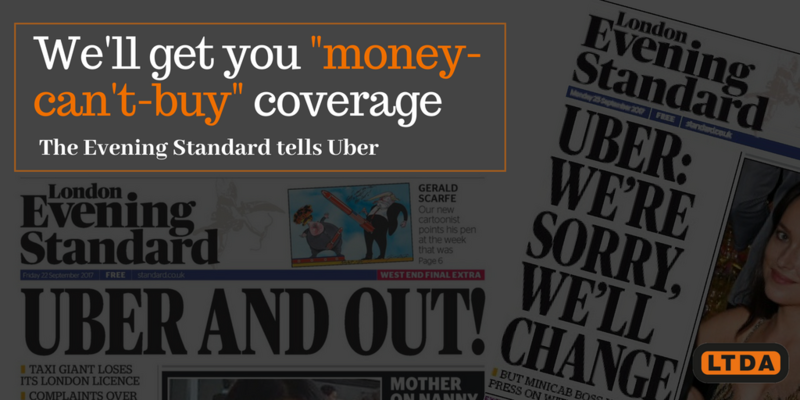 Uber reportedly struck a £500,000 deal with the Evening Standard for “money-can’t-buy” positive news coverage. The Standard is denying the claims but given George Osborne’s cosy relationship with Uber when in government, and his side-job at major Uber investor Blackrock, the denial doesn’t hold much weight. One thing is clear from Uber’s aggressive marketing strategy of late. It’s obviously scared and it has a right to be. LBC revealed that earlier this year Uber tried to convince TfL to give them an 18-month licence, so it can take it back after that time if they still believe Uber is not a fit and proper operator. Uber is doing all it can to make sure it can continue to operate on London’s streets. We’ll keep doing all we can to make sure it can’t.